Based on the approval of the Iraqi Council of Representatives and ratified by the President of the Republic of Iraq; Based on the provisions of item (I) of Article 61 and item (III) of Article 73 of the Iraqi Constitution , the draft federal budget law of Iraq for 2018 was issued, which revealed about an estimated revenues of more than 85.331 Including oil revenues of about 72 trillion dinars, and non-oil revenues of 12 trillion Iraqi dinars, and those revenues were calculated on the basis of the price of a barrel of oil 43.4 forty-three dollars and forty cents. The draft budget law, based on the export of oil at the rate of 3 million, 888 eight hundred and eighty-eight thousand barrels per day, including 250 thousand barrels of oil in the Kurdistan region, and 300,000 barrels of Kirkuk oil province. A deficit of a planned budget of the federal, amounting to more than 22.782 Twenty-two trillion, seven hundred and eighty-two billion, and covers the deficit of domestic and external borrowing, and the amounts of cash in the account of the Federal Ministry of Finance, and the proportion of the expected savings to increase oil prices. The economic adviser to Prime Minister Mudher Mohammed Saleh that the budget of 2018, carrying a legacy for ten years and for our day, it is an “oil Renter “, where the oil exports of the Federal Iraq 3.888 million barrels per day. 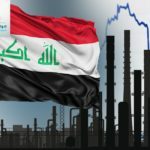 Saleh expected oil revenues to reach about 74 trillion Iraqi dinars and non-oil revenues, 12 trillion Iraqi dinars, including taxes and fees and capital revenues, and transfer income, which the budget is getting worth 86 trillion Iraqi dinars, plus internal and external borrowing up to 10 trillion that the total budget value to become 96 trillion Iraqi dinars, except for the debts that will be repaid, and the services of those debts (premium + interest) amounting to about 10 trillion. Non-oil revenues – (All expenditures financed by (oil revenues + debts) – of these expenses only debt service = appears in the text of Iraq’s financial deficit. Saleh added that the budget since 2004 when the Finance and Public Debt Law No. 95 of 2004, the sixth section, the first section was issued, it was based on the price of oil wisely and conservatively, so committed to a framework or to ensure financial sustainability to put a conservative oil barrel offset by a default deficit, The default deficit eats itself over time, and this is planned to happen to maintain financial sustainability. He added that the danger here in the budget, and within ten years, that if oil prices increased five times, and salaries seven times, which means when we calculate the budget accurately, we would see that salaries constitute 50% of the budget, half of which obligations must be provided by the state, and to provide the financial sustainability at the same time. He also stressed that the danger in the budget is that whenever it achieved a surplus of income, it was expanding in jobs and salaries, which has burdened on the budget in the passage of time , pointing to the difficulty of giving up this expansion, when exposed to financial crisis, the problem here how to provide a sound financial sustainability, so when the oil prices are declined about 67% of its historical rates, Iraq tried hard to increase the amount of oil product about 30% to compensate for the large drop in prices, but in vain, as the gap was large, the a default deficit became a virtual deficit. When the budget is priced at $ 80, Iraq was selling $ 103, when priced or built the budget on the price of a barrel of oil is $ 53, and we sell $ 43. Saleh explained that the situation has changed today in Iraq, when our budget of 43.4 dollars, and the average sale of $ 47, the picture as reflected, and the problem here is the reflection on development programs and economic construction, as the infrastructure and energy production in Iraq are only 25% of the output Gross domestic product, the lowest in Iraq’s history. And Saleh pointed out that the important points in the budget that should be referred to is the investment budget, which is approved only in the seventh month of the year, noting that since 10 years , investment projects have not been implemented , because they are produced without feasibility study, or be urgent, or offered at exaggerated prices , or it is not known correctly, and touches economic life in general, but its problem is that there is no interdependence in the economies, and being weak, and this mode of development generated by the surplus of revenues. • The first trend; the oil sector where it acquired 50% of the investment for the continuation of life, and part of it goes to the electricity sector. 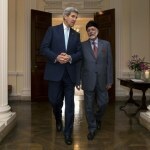 • The other direction; goes to arm the army and counter terrorism. 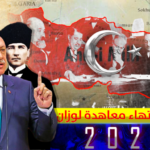 Salih added saying that “The problem here is the ongoing expansion of the” fragile budget constraint “in the current jobs and budget, as we see the withdrawal of huge amounts with several names such as 130 trillion as loans, retroactive grants, and imbalance expending …. Etc. It was not settled because of the fragile budget constraint, thus emptying the country’s revenues, and a strong bond was lost that is a “financial sustainability”. 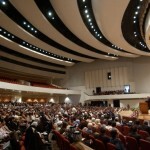 He explained that Iraq will have a surplus of money, when there is economic diversification and varied economic activities to achieve various revenues for the treasury of the state that is when non-oil revenues exceed oil revenues or equal or close to them, so in this case only, we can say that Iraq has financial sustainability. 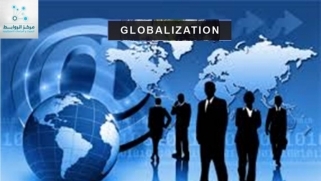 1 – What the international organizations want “International Monetary Fund” to reach the financial deficit to 33% of GDP, a reduction of about 66 trillion dinars. 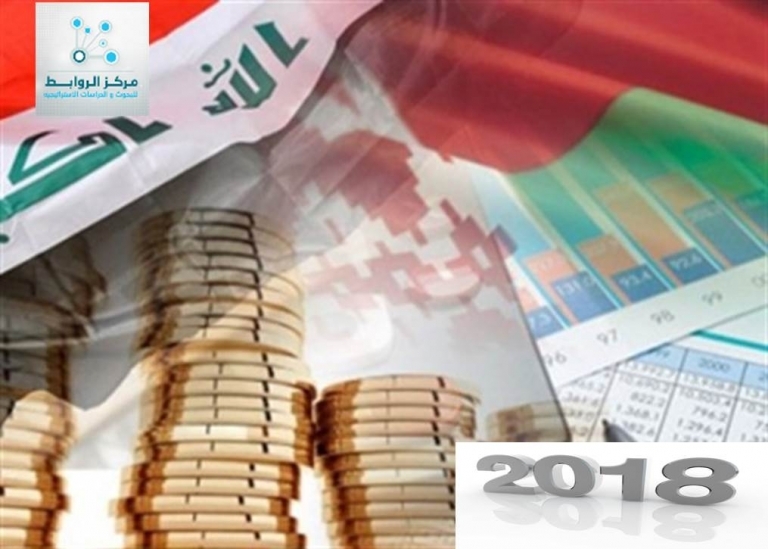 2 – What Iraq wants through the preparation of the budget and despite the problems that the financial deficit to reach 36% of the budget, equivalent to 72 trillion dinars. What the IMF wants 33%, it can be achieved by gradually dropping to 25%, until we achieve financial sustainability, when Iraq becomes 25% in the future, which means non-oil revenues increased. 1 – We look at the most important suppliers of the country that are exposed to the largest waste operations, the electricity sector, as the allocation of the state budget for the electricity sector is 14 trillion dinars, but the collection does not exceed one trillion, of which 650 billion to the state departments and most of them do not pay, The collection is weak, pointing to the distinction between the poor and the rich, the poor does not consume large units that we can override, but those who consume many units and multiply, must pay. If we get 5 trillion from the electricity sector, it helps to solve some economic problems, and be more appropriate than the lowest trillion. 2 – Customs, there are no customs in the world work like Iraq’s customs, which is worth 600 million, and if we do a simple comparison to know the difference, the collection of revenues from mobile phone cards are 600 million, which means equal to the amount of customs collection , Is this reasonable ? This is clear evidence of the existence of waste in the Iraqi economy, and a permanent financial deficit, as long as the economic situation in Iraq depends on world oil prices. 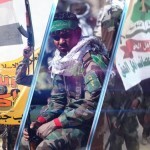 Saleh asked: Has the Iraqi government succeeded in the treatments? In the difficult circumstances lived by Iraq, the transition from surplus revenues to a deficit in revenues (war and military expenses + obligations can not stop, salaries and retirement) … etc, and here we get to the real financial administration in Iraq that has exceeded the plight of three years + victory in the war = hence victory In financial management and victory against terrorism. And here is very important to maintain the victory in financial management because it is not easy, and needs to build a solid public finance and cooperation and financial culture and professional work, as the focus should be on fiscal achievement and focus and the activation of taxes and the activation of non-oil sectors, it is not harmful of the existence of debts to help the investment if it is repaid by organized way , because like the IMF and others of the organizations that grant loans are harsh and do not take into account the circumstances of the country that we are facing a war against terrorism and there are displaced and here almost complete destruction of infrastructure of liberated areas. He called for the help of the international community to Iraq to hold international contracts for the establishment of the development fund of Iraq, such as China is ready for development in Iraq through partnership, thus achieving the investment platform. Saleh pointed out that Article 14 of the Budget Law, for the first time launched a word of partnership in 2016 -2017 -2018 and gave powers to amend the decisions, and the Basra Oil Company is a successful model in the direction of partnership with the United Nations, which is willing to financial and executive partnership,and this gives a financial sustainability. 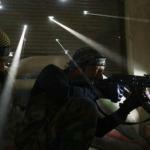 The share of the Kurdistan region decreased to only 12.67% after it was 17%. The documents pointed out that the share of the Kurdistan region was developed according to the numbers of each province of the region, and when any increase or decrease in the total expenditures of the federal budget, the share of the provinces of the region will be added or reduced with the increase or decrease. The Northern provinces are committed to export at least 250 thousand barrels per day and hand over revenues to the federal public treasury. When the governorates of Kurdistan do not provide the federal revenues to the public treasury, the Ministry of Finance deducts the specified quota. 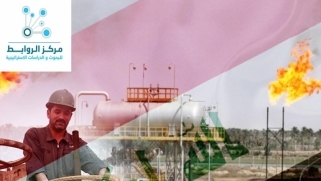 In the same context, the deputies of the province of Basra threatened, earlier, in the relation of the law of "petrodollar" not to vote in favor of the budget in 2018, if not include financial pledges to pay the dues of Basra in arrears for oil exports, "petrodollar law," which the central government has pledged to pay it for more than a year. 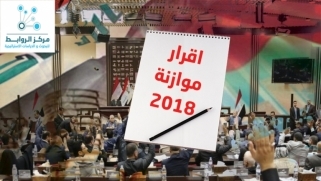 A member of the parliamentary legal committee, Ibtisam al-Hilali, that there is a reduction in deductions from the salaries of employees significantly in the budget next year 2018, adding that "the federal budget for the next year 2018 arrived today from the Council of Ministers to the House of Representatives and is under study in the Finance parliamentary Committee and also will be discussed within the Legal Committee at a later date before being legislated." Al-Hilali added that “the budget next year will see a reduction in deductions from salaries of employees and what is reported to increase to 5% of the salary is not true at all.” She explained that “deductions were directed to the popular crowd and displaced people. Today, most of the displaced returned to their areas and the crowd has a special budget “she said. Earlier reports confirmed that the budget for 2018, no different from the current year in the guidelines, only a few minor changes in the items, such as the establishment of the public debt compensation fund, in addition to some paragraphs supporting the private sector and the domestic product at the expense of the importer, The budget may be the same as before, and there is not necessarily a high rate of disability. “The government is continuing the policy of austerity because the financial crisis is still going on until next year,” said MP Mahasin Hamdoun. “The rise in oil prices contributed to $ 46 to the surplus of the state budget, in addition to deductions from salaries of employees and taxes that were taken and financing the requirements of popular crowd and displaced persons “. 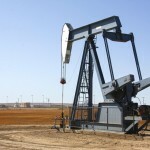 International Monetary Fund (IMF) experts agreed with Iraq on the 2018 budget, in line with the $ 5.34 billion credit agreement approved in July to support the government’s economic reform program, which aims to meet urgent balance of payments needs, and to reach the Spending to a level consistent with level of decline in world oil prices, and ensuring that debt remains within sustainable limits. Then, Iraq’s discussions with the IMF comes and the confront of Iraq of “double shock” from low oil prices and the cost of its struggle with a terrorist organization. The International Organization predicted a near-steady performance of the economy this year, compared to last year, with oil production falling by 1.5%, in an agreement with OPEC countries to reduce production, and a slight recovery in non-oil sectors. Iraq’s foreign exchange reserves declined as world oil prices plummeted to $ 45 billion at the end of 2016, compared to $ 54 billion in 2015, while fiscal pressures continued to hit the country with the country’s budget deficit reaching 12 and 14 percent of GDP during the two years 2015 and 2016, respectively. Although the IMF expects Iraq’s economy to contract by 0.4% this year, there are prospects for positive growth over the medium term, with growth expected to range between 2% and 3% over the next five years. The IMF is betting on the recovery of non-oil sectors supported by improved security stability and the implementation of structural economic reforms. 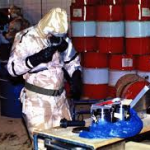 Next article Trump declares North Korea threat to the civilized world.